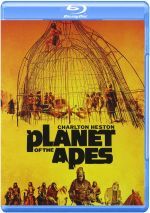 Although it earned $180 million in the US, most regard 2001’s Planet of the Apes remake as a dud. It made an awfully high percentage of its money during its opening weekend. Many viewers didn’t much like what they saw, so it suffered from crummy word of mouth and faded quickly after that big launch. Clearly the suits at Fox still saw value in the franchise, though, so when it came time to make another Apes flick, they decided to take a different path. 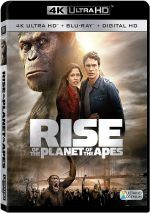 Rather than offer another attempt at the story found in both the 2001 and 1968 Apes, 2011’s Rise of the Planet of the Apes goes the “prequel/reboot” route. Set in roughly the present day, we meet scientist Will Rodman (James Franco). He works to develop a drug that will cure Alzheimer’s Disease, at least partially because his father (John Lithgow) suffers from the malady. Will thinks he’s made a breakthrough when a test chimp named Bright Eyes shows amazing cognitive development when administered drug ALZ-112. Will’s boss Steven Jacobs (David Oyelowo) pressures him to present the results to the company’s chiefs, but this goes poorly. When brought out of her cage, Bright Eyes goes ballistic and attacks employees. This results in her demise and the end of the ALZ-112 program. When he returns to the chimp’s cage, Will learns that she didn’t become aggressive due to the drug. Instead, she turned violent to protect her newborn offspring. Though he’s supposed to put down the baby chimp, Will instead takes the infant into his custody. Meant to be temporary, Will sees that his dad bonds with the primate so he decides to keep the chimp and raise him. This goes spectacularly well, partially because it appears that Bright Eyes passed on the benefits of the ALZ-112 to her offspring. Now named Caesar, the chimp displays superior cognitive abilities and develops at an astonishing rate. We follow their relationship as well as what happens when Caesar ends up at a facility that houses other primates. Hint: it doesn’t go well for humanity. Like all prequels, Rise comes with potential pitfalls because we know where it’ll go. They don’t call it Rise of the Planet of the Apes for nothing. Though the simians don’t come to dominance at the movie’s (sequel-ready) conclusion, we can see the roots. Given that the original Apes didn’t offer substantial detail about how the beasts took over the world, though, Rise boasts plenty of room to fill in the blanks. The prior films showed us the end result but not much more, so this flick gets a lot of space to flesh out… well, whatever it wants. That probably means it takes licenses that may conflict with the original Apes series. It’s been a while since I watched those movies, so I can’t say if Rise does anything to violate that particular canon – or the world of the 2001 Tim Burton version. Rise does have fun with its roots, as it throws in a mix of allusions to the franchise. Some of these seem pretty subtle – like the clip from a Charlton Heston movie seen briefly on a TV – while others are much more obvious. I prefer the more obscure ones, but all are enjoyable and do nothing to harm the spirit of the film. Whether or not Rise does anything to muck with the established Apes universe, I don’t much care because a) the original series was pretty loosey-goosey with continuity anyway, and b) Rise is such a blast. There aren’t many sequels/prequels that can be thought of as being equal to – or potentially better – than their predecessors. Amazingly, Fox had two in 2011: both X-Men: First Class and Rise are real winners. Although I do think First Class is the best of the X-Men efforts, I won’t say that Rise betters all the other Apes flicks, though I suspect only the 1968 movie gives it competition. Some of the old sequels were fun, but I couldn’t call any of them great. Rise easily tops the 2001 Apes, and I think it gives the 1968 flick a run for its money. This becomes apples/oranges to a degree, but Rise certainly is worthy of positive comparison to the original movie. Blasphemy? Maybe, but I like Rise so much that I feel it deserves to be discussed in the same sentence as the first film. I find it difficult to locate any aspect of Rise that doesn’t work well. Okay, the human characters don’t get a lot of detail or exposition. Even Will remains pretty simplistic: he explores the Alzheimer’s treatment for abundantly transparent motives, and once Caesar develops, he doesn’t have much to do other than chase his simian child and hope for the best. As the actor who did the motion capture work to bring Caesar to life, Andy Serkis deserves the chimp’s share of the praise. Caesar truly becomes the movie’s heart and soul. It may nominally treat the humans as the leads, but they become nearly irrelevant along the way as the apes… well, rise. I can’t say that I think the CG depiction of the primates is thoroughly convincing, as it still feels a bit artificial to me. Still, Serkis gives the role such depth that I can ignore the technical restrictions. Eventually we forget we’re watching a bunch of bits and bytes and invest in Caesar as a believable character. Rise also delivers a pretty terrific action climax. After I saw its trailer, I worried that it’d spend 90 percent of its running time on exposition and only give us livelier material at the very end. Happily, I fretted incorrectly, as the ape revolt occupies a good chunk of the movies last act – and by “good chunk”, I mean pretty much all of it. 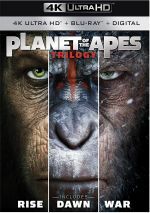 The film provides solid visceral battles as the primates run amok and threaten the inhabitants of San Francisco. Heck, I like Rise so much that I don’t even mind the inevitable sequel-bait finish. (Stick around after the “ending” to see foreshadowing for future events.) It becomes a strong first chapter in the saga. Rise of the Planet of the Apes appears in an aspect ratio of approximately 2.35:1 on this 4K UHD Disc. Across the board, this was a very appealing transfer. At all times, sharpness looked great. If any softness marred the presentation, I missed it, as I found nothing but solid delineation and clarity here. I saw no signs of shimmering or jaggies, and edge haloes remained absent. No issues with source flaws materialized either, as the movie always remained clean and fresh. Note that the 4K UHD presentation made grain more prominent than otherwise might be the case, but I didn’t view that as a drawback. In terms of colors, the flick went with a somewhat golden tone, especially when it focused on Caesar’s home and happier times. When the movie went with more dramatic elements – or spent time at the lab – it opted for a colder, teal impression. Out in nature, we saw a greener palette. The colors were consistently well-displayed and appropriate, and the 4K UHD’s HDR added oomph to the tones. Blacks looked deep and firm, and shadows were usually fine. A few shots seemed a little thick, but most of the scenes displayed good clarity. Overall, this was a terrific presentation. As for the DTS-HD MA 5.1 soundtrack of Rise, it also worked well. The movie presented a fairly engaging soundfield. Not surprisingly, its best moments related to the mix of action scenes. These helped open up the spectrum pretty nicely. Otherwise, we got good stereo impressions from the music along with solid environmental material. The latter reverberated in the rear speakers to positive effect, and some unique action material popped up there as well. The entire third act threatened to turn into a demo reel, as the rampaging apes allowed the mix to demonstrate a high level in immersion and activity. Effects showed good distinctiveness, and they offered nice low-end when appropriate. All of this created a strong sonic impression that made the movie more involving. How did the 4K UHD compare to the Blu-ray version? Audio remained identical, as both discs sported the same DTS-HD MA 5.1 mix. Shot on film and finished at 2K, this visual presentation offered minor improvements over the Blu-ray. Sharpness, contrast and colors all looked better on the 4K UHD, but given how good the original Blu-ray appeared, none of these areas offered huge improvements. Still, it’s a highly satisfying image that became the most satisfying way to view the film. While Wyatt covers a good array of subjects, he does so in a lackluster manner. He tends toward dryness, and the commentary comes with many stops and starts, as Wyatt goes quiet for brief periods. We do learn a reasonable amount about the production, but the track’s sluggishness makes it less enjoyable than I’d like. For the second commentary, we hear from writers Rick Jaffa and Amanda Silver. Both sit together for their running, screen-specific discussion of the project's origins, development and research, story/character/script areas, allusions to earlier Apes flicks, and a few other production areas. Though it slows somewhat as it goes, this commentary usually works quite well. We get solid insights into story/character decisions and learn a lot about the script’s evolution. Even though it sags a bit during the film’s second half, this is still a valuable and enjoyable piece. All the remaining extras appear on the included Blu-ray copy, and 11 Deleted Scenes fill a total of 12 minutes. Most of these offer extra exposition that connects some dots. For instance, we see how Will restarted his research, and we view Caesar’s first attempts to solve puzzles. One of the assistants at the animal reserve gets more development, and we see additional brutality there as well. Some also extend existing scenes with small tidbits, such as Caesar with a bicycle before a neighbor discovers him. The scene in which Caesar attacks a neighbor also comes with a more violent twist. The added material is interesting to see but not terrible important; some of the scenes are fun but I don’t think any would’ve helped the movie. Note that many of the scenes lack final animation. This means we usually see Andy Serkis and others in “performance capture” suits as they act out the pre-animated apes. While it’d be nice to view the clips as they would’ve looked on the big screen, the absence of finished effects doesn’t make them less interesting. Six featurettes follow. 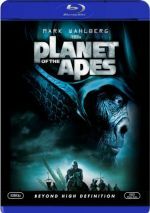 The Genius of Andy Serkis goes for seven minutes, 48 seconds and provides notes from Silver, Jaffa, Wyatt, VFX supervisor Dan Lemmon, producer Dylan Clark, Senior VFX producer Joe Letteri, co-produce Kurt Williams, and actors James Franco, Andy Serkis, Tom Felton, Brian Cox, John Lithgow and Devyn Dalton. “Genius” looks at the performance Serkis gives bring the CG-animated ape to life. Too much of this comes out as lavish praise – not a surprise in a piece called “Genius” – but we still get enough good insights into the “performance capture” process to make it worth a look. With the nine-minute, 41-second A New Generation of Apes, we hear from Wyatt, Williams, Letteri, Lemmon, Serkis, animation supervisor Eric Reynolds, creatures supervisor Matthew Muntean, VFX supervisor R. Christopher White, digital creatures supervisor Simon Clutterbuck, texture/creature art director Gino Acevedo, lead texture artist Keven Norris, lead groomer Nicholas Gaul, animation supervisor Daniel Barrett, and actor Terry Notary. “Apes” looks at the methods used to create the film’s animated animals. Some of this piggybacks on “Genius” – that featurette probably should’ve just wrapped into this one – but “Apes” digs into the technical elements with greater specificity. It’s another useful take on the topic. Next we get Breaking Motion Capture Boundaries. It lasts eight minutes, 43 seconds and features Notary, Wyatt, Clark, Letteri, Lemmon, Barrett, Reynolds, Acevedo, VFX supervisor Erik Winquist, motion capture supervisor Dejan Momcilovic, and head of layout/animation technologies Shawn Dunn. Here we learn more about performance capture and the methods used to shoot the film’s climactic battle. Expect to get another good perspective on the technical side of the moviemaking process. The Great Apes occupies 22 minutes, 37 seconds with information about three different creatures: chimpanzees, gorillas, and orangutans. The program combines text, “character turnarounds” for CG Rise characters and comments from Chimp Haven president/director Linda Brent, Chimp Haven program behavior/education program manager Amy Fultz, Yerkes National Primate Research Center Director of Living Links Frans de Waal, Wellington Zoo primate keeper Vimal Patel, USC Jane Goodall Research Center co-director Craig Stanford, Chimp Haven behavior technician Erin Loeser, Indianapolis Zoo Vice President of Life Sciences Dr. Rob Shumaker, and Dian Fossey Gorilla Fund Chair of Research and Conservation Tara Stoinski. Across these pieces, we learn basics about the different animals. We find nice details and discover an interesting overview of facts related to the various apes in this well-executed section. For the seven-minute, 11-second Mythology of the Apes, we find comments from Wyatt, Serkis, Jaffa, Franco, and Silver. They discuss attempts to keep Rise connected to the original series and reveal some “Easter eggs” that appear in the film. Some of this repeats material heard in the commentaries, but we get new info as well, and the screen comparisons of visual allusions are fun to see. Finally, Composing the Score runs eight minutes, seven seconds and delivers info from composer Patrick Doyle. He talks about the film’s music and we get details about themes and goals. It's a reasonably informative glimpse of the composer’s work. Under Scene Breakdown, we get to look at a sequence from a mix of angles. We see “Final Scene with Picture-in-Picture Reference”, “Early Animation” and “Performance Capture”. The basic scene lasts one minute, 34 seconds, though obviously it would take you three times as long to watch each option from start to finish. This offers a nice way to check out the various stages of effects work. We finish with a Character Concept Art Gallery. It shows a panel with images of nine characters used to demonstrate their size/height in comparison with each other. We can click on eight of them – all except for human Will – and see closeups of the design drawings and pictures of the simians as rendered in the film. It’s a little thin as an art gallery, but it’s decent. The Blu-ray disc opens with clips for The Sitter and In Time. We also find three trailers for Rise plus Sneak Peeks for Machine Gun Preacher, Immortals, Another Earth, There Be Dragons and FX Network. Rise of the Planet of the Apes turned into one of 2011’s most pleasant cinematic surprises. It helps relaunch the franchise in a terrific manner, as it mixes drama and action well. The 4K UHD provides excellent visuals and audio as well as a pretty interesting set of supplements. I definitely recommend this exciting film, and the 4K UHD becomes the best way to view it.